Clean and tight with mild wear,age discoloration on the two pages of text facing the b/w photo plates, dustjacket edge wear, a few small tears, areas of laminate lift at edges, mild age discoloration, flaps intact. Background of a Japanese politician whose "public career of more then 50 years embraced both Japan's prewar and postwar periods... Included are transcripts of interpellations in the Diet during the period of Japan's military build-up prior to WWII--especially meaningful now with the perspective of time--and personal recollections of such figures from the past as Marquis Okuma and Prince Konoe... 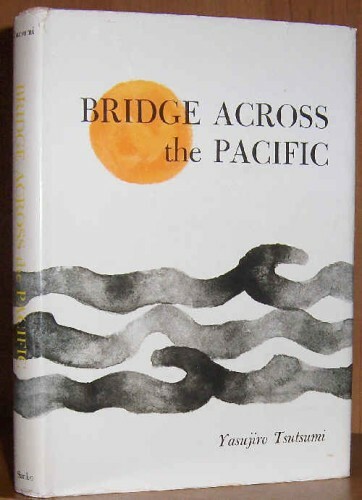 Though unanimously approved by the Japanese Diet, Mr. Tsutsumi's account of behind-the-scene activities within the ruling party at this time (1956) reveals that actually the restoration of Russo-Japanese relations was a divisive and bitterly contested issue among Japan's leading politicians.... Intimate knowledge of the personalities and closed-door discussions involved has resulted in an exceptionally revealing presentation of the actual circumstances prevailing in Japanese political circles then--and continuing to the present day..."